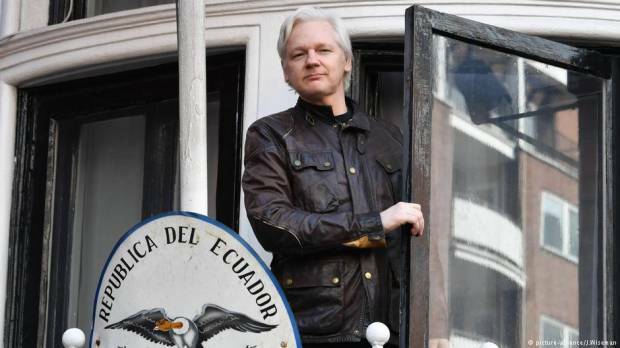 Ecuador’s President Lenin Moreno said on Thursday that “the way has been cleared” for WikiLeaks founder Julian Assange to leave the country’s embassy in London. Assange, 47, has spent the last six years in Ecuador’s embassy to avoid arrest and extradition to Sweden on allegations of sexual assault. Sweden has since dropped the case, and Ecuador says there are no pending extradition requests against him. The Australian activist, who published huge caches of files belonging to the United States Department of State and the Pentagon in 2010, has repeatedly expressed fears that Britain may extradite him to the US. Moreno, however, said Britain guaranteed that Assange would not be extradited to a country where his life is in danger. “The British government has told us that the constitution of Great Britain bars extradition of a person to a place where his life is in danger or he faces the death penalty,” Moreno said in a radio interview. Moreno added that Assange has to “serve a short sentence” in Britain for violating his bail conditions. Ecuador has been looking to evict Assange from its London embassy for several months amid souring relations. He sued Quito in October for violating his “fundamental rights” and restricting his access to the outside world. His lawyer, Carlos Poveda, said last month that Assange was prepared to give himself up to British police provided he receives assurances he would not be extradited.